Have you ever received the promotion advertisements from some brands? The answer for most of us probably is: yes. Based on customers’ preferences, retailers offer the information of their upcoming products by the eye-catching advertisements. However, have you ever been curious about how this information reaches you? Well, the answer is because of the new technologies behind the screen. In 2014, a software company named “Cosmose” was established by Miron Mironiuk, along with a team of engineers and media planners (Cosmose, 2018). It mainly offers solutions for offline retail stores to attract the potential customers. By tracking offline visitors’ wifi on their mobile services, retailers can accurately target specific customers with the relevant ads via their social media platforms, such as Facebook. 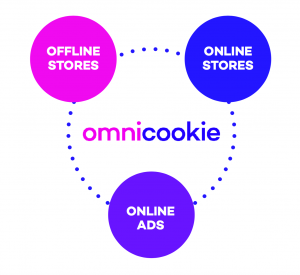 Recently, OMNIcookie, a high technical device invented by Comose, has become a sophisticated location technology for reconnecting offline customers through online advertisements (Financial Times, 2018). As a powerful behavioral targeting technology company, Cosmose cooperates with over 400,000 mobile apps (Cosmose, 2018). Based on the technological collaboration, they have received anonymous location data of over one billions shoppers. 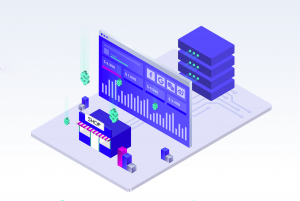 After collecting and analyzing the interminable amount of data, Cosmose will then select the best potential customers for their clients—offline retail stores. The potential target customers are divided into five main categories: 1) outside potential (people who walked pass the store but didn’t visit); 2) “just looking” (people just visited the store but left before making a purchase); 3) best customers (people who made the purchase); 4) lost customers (customers who haven’t visited the store recently); 5) competitors’ customers (customers who visited competing stores) (Cosmose, 2018). The success of Cartier retail stores can be a good example to illustrate how OMNIcookie plays a role in the jewelry industry. OMNIcookie was installed in several locations of the stores, such as their main shopping area, cashier, and fitting room. It is seamless, simple, and ubiquitous (Cosmoes, 2018). When a customer walks into the shop, the apps (such as Facebook) on his/her phone will immediately search for the wifi signal as long as the location function is activated. At this time, the OMNIcookie will automatically capture his/her phone ID (Cosmoes, 2018). The customer then will be classified into one of the five categories by Cosmose app. The information such as gender, age, consumption level, and the date when he/she visited the store will be analysed. After Cosmose gives the information, Cartier will send its online ads to specific customers via their social media platforms. In this way, the company has increased the visibility of their promotional ads onto potential customers’ social media platform, and helps attract customers to visit the retail stores. with mobile devices (Cosmose, 2018). The purpose is to make sure the information of potential customers are flowing equitably to both online and offline stores. To a certain extent, as a new technology, OMNIcookie helps the offline retailers better target their customers. However, it may also cause privacy problems for the customers. Even though Cosmose claims that the customers’ personal data is being protected by a series of complex algorithms. The perfect security for personal data does not exist, as there will always be hackers or government agencies finding methods to break it (Assante; Chau 8). For example, Facebook leaked fifty millions of its users’ information to a data analysis company that served for Donald Trump’s team for the presidential election in 2018. According to Katie Shirlton, privacy is the right to choose and control what personal information that users want to share, with whom and for how long (Shirlton 50). The slogan on the official website of Cosmose is “Online, Offline Equal” (Cosmose, 2018). The Cosmose’s equality regards companies’ need over customers’ privacy. For those customers, protecting privacy has become harder as their information is widely shared among multiple parties around the world (Tene: Polonetsky 251). Thus, as customers, we should always be alert about our privacy while using new technologies. Agnew, Harriet. “L’Oréal Invests in ‘Beauty Tech’ Start-Ups for Digital Makeover.” Financial Times, Financial Times, 22 Jan. 2017, www.ft.com/content/5b5b34c2-df21-11e6-86ac-f253db7791c6. “Cosmose AI Is the #1 Solution for Offline Stores.” Cosmose, cosmose.co/. Dijck José van. The Culture of Connectivity: a Critical History of Social Media. Oxford University Press, 2013. Flows, Capital. “America’s Critical Infrastructure Is Vulnerable To Cyber Attacks.” Forbes, Forbes Magazine, 11 Nov. 2014, www.forbes.com/sites/realspin/2014/11/11/americas-critical-infrastructure-is-vulnerable-to-cyber-attacks/#4aa057f25f39. “L’Oréal &amp; Founders Factory – Cosmose.” YouTube, YouTube, 22 Jan. 2017, www.youtube.com/watch?v=eJis212Xhks. Liu, Yue. “User Control of Personal Information Concerning Mobile-App: Notice and Consent?” Computer Law &amp; Security Review, vol. 30, no. 5, 2014, pp. 521–529., doi:10.1016/j.clsr.2014.07.008. “Miron Mironiuk.” Forbes, Forbes Magazine, www.forbes.com/profile/miron-mironiuk/#606c46a2a918. “New Europe 100: Eastern Europe’s Emerging Technology Stars.” Financial Times, Financial Times, 23 Nov. 2017, www.ft.com/content/10da5832-ce4b-11e7-9dbb-291a884dd8c6. Shilton, Katie. “Four Billion Little Brothers?” Queue, vol. 7, no. 7, Jan. 2009, p. 40., doi:10.1145/1594204.1597790. Tene, Omer and Jules Polinetsky. “Big Data for All: Privacy and User Control in the Age of Analytics.” Northwestern Journal of Technology and Intellectual Property, vol. 11, no 5, 2013, pp. 238-273. Westin, Alan F. “Privacy and Freedom, New York: H.” Atheneum (1967). « Can we leave the social problems to algorithm?